Queensbury Jewellers is a family owned jewellery business established in Leeds since 1978, specialising in quality diamond and gold jewellery as well as various brands of designer silver jewellery and quality watch brands. 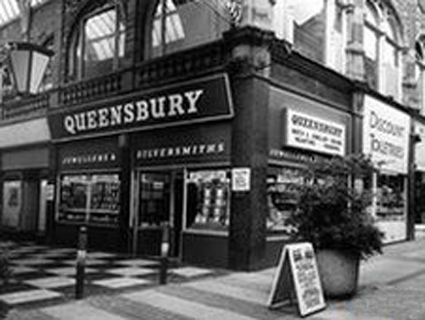 During the year 2001, Queensbury Jewellers decided to move their business from Leeds city centre to much larger premises on Kirkstall Road, just 1 mile from the city centre of Leeds. Queensbury Jewellers now boasts the 'North's Premier Jewellery Showroom' , with a ground floor showroom stretching to over 1000 square feet offering departments specialising in Diamond Rings, Diamond Jewellery, Gold and Silver Jewellery, second hand jewellery and top brand watches. 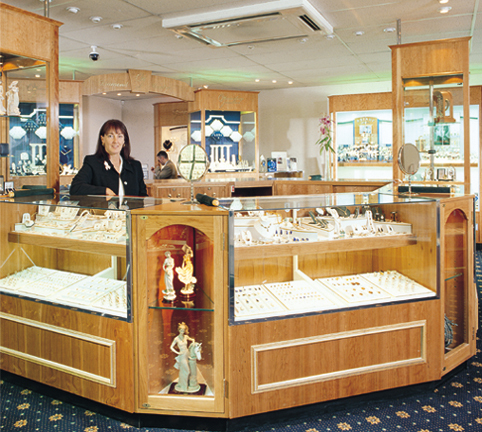 The first floor welcomes you to 'World of Wedding Rings' an entire showroom dedicated to wedding rings offering the largest selection of wedding rings anywhere in the Country. Also on the first floor, Queensbury Jewellers have their own workshop and employ 2 full time working jewellers at the bench, offering a full on-site repair and alteration service for your jewellery. Here at Queensbury's we pride ourselves on our first class service and tremendous value for money, offering what we believe to be the complete jewellery service. The complete Jeweller for you.